I get tons of questions every day about my editing. "How do you edit your photos?" "What softwares do you edit with?" 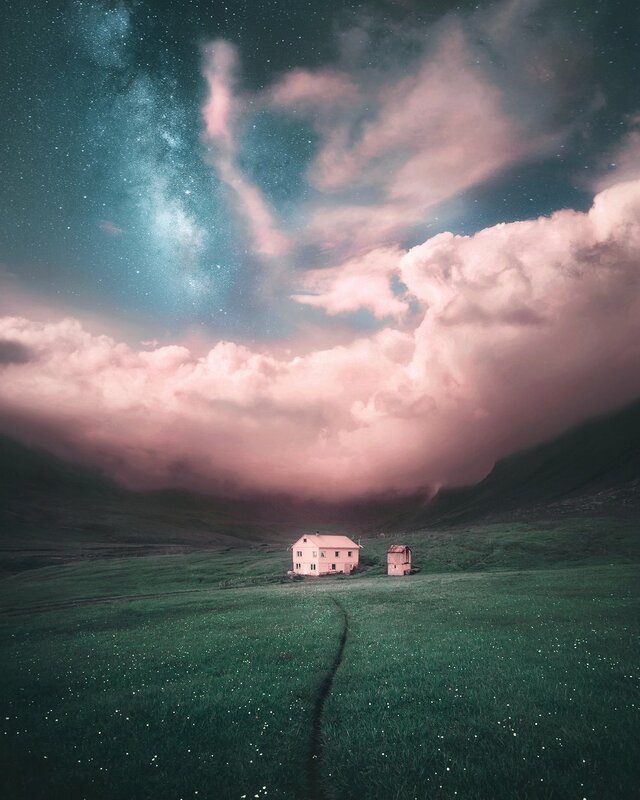 "How do you create that mysterious feeling and dreamy glow into your photos?" Well, now you can find out and learn my favorite editing techniques and adapt them into your own workflow. 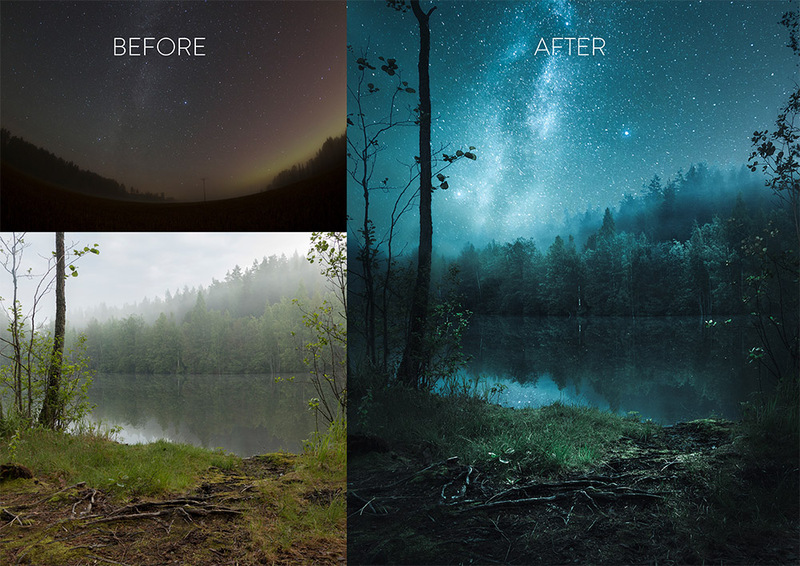 With the fine art photographer Mikko Lagerstedt we created this editing tutorial eBook about how to transform a day photo into a night photo (see the before & after photo below). Our goal has always been to create appealing and fascinating photography. Sometimes this includes using composite images. Creating composite photography can be tricky. In this tutorial you can learn ways to easily and quickly blend two images together using both Lightroom and Photoshop. We saw a lot of effort to create this tutorial as easy to follow as possible. You will get to use my original photos as you follow the tutorial at your own pace. 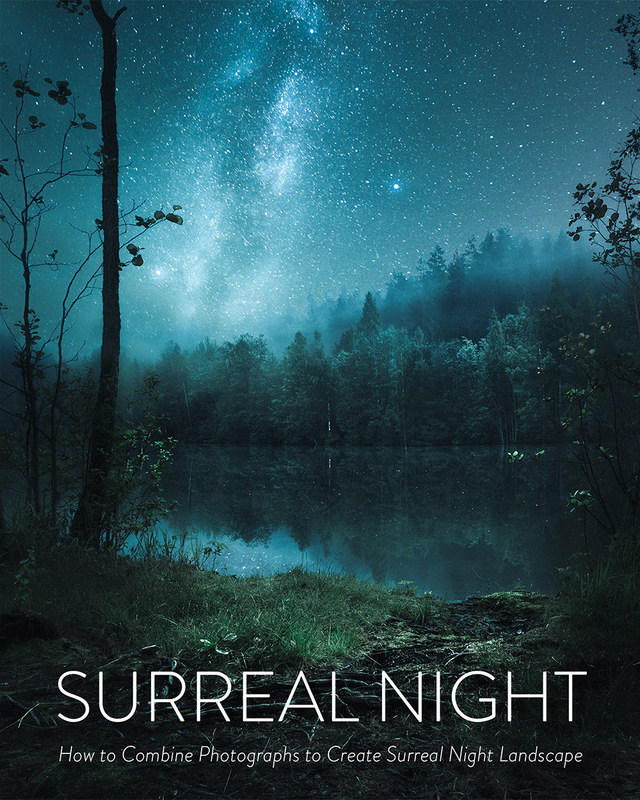 You will also get the .psd file I edited if you want to take a closer look into it. This way you can make sure you will get everything out of this tutorial and will learn to use every technique the most powerful way. Even though this tutorial will basically teach you how to create a composite photo using two or more different photos, these techniques can also be used in so many different ways and in different types of photography. You can develop some new ways to use these techniques on your own as well. The good way to develop own style is to learn to use a tool or technique and then come up with new ways to use it. The techniques teached in this tutorial will take your editing workflow to the next level.